Sherlock fans were treated to a thrilling roller coaster ride on New Year’s Day with the much-anticipated walk down the aisle of “The Abominable Bride.” Here are some questions we had after watching this beautifully executed episode a few times. We may have a year or more until Series Four debuts to dissect the Victorian-set special, so let’s get started! Beware: Spoilers! 5. Are Mycroft and Sherlock BFFs now? The relationship between Mycroft and his younger brother has always been fraught with tension, and at times, outright hostility. In “The Abominable Bride,” we see a shift in the dynamic between the brothers. 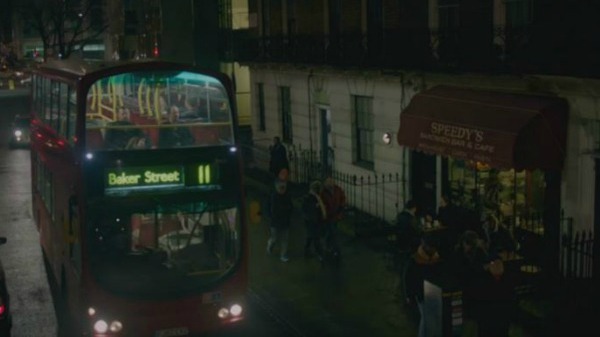 Mycroft shows concern for Sherlock when he overdoses and asks John and Mary to take care of him. 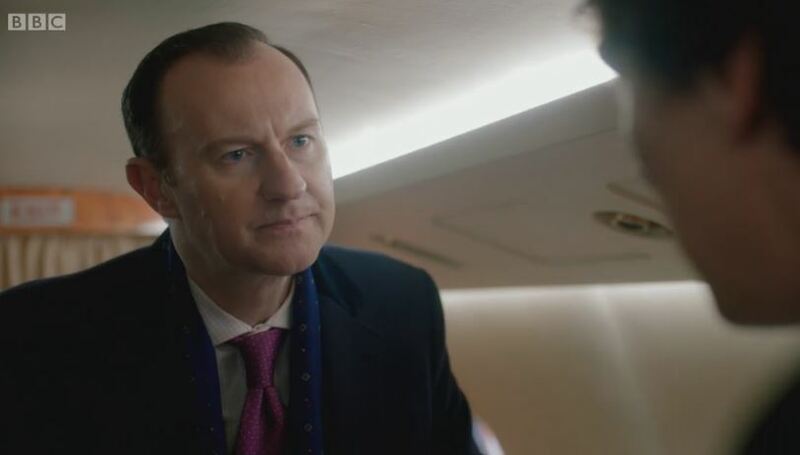 Is there a hidden agenda at work, or is Mycroft softening towards his younger sibling? 4. What was up with Mycroft’s notebook? We got an intriguing and all-too-brief glimpse of Mycroft’s notebook containing information about Sherlock. What do some of the lesser known entries mean? 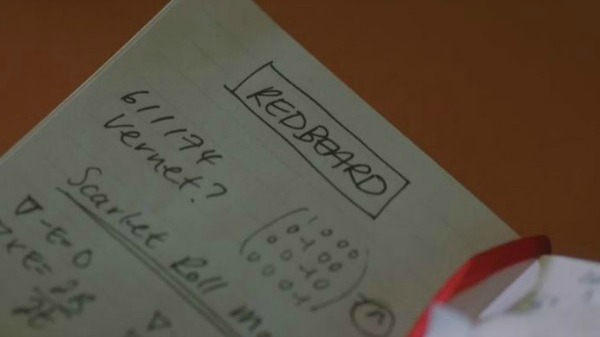 We know that Redbeard was Sherlock’s beloved dog, but why is his name written in the notebook, and what do the other notations mean? For a more exhaustive discussion than we can include here, check out this fascinating subreddit, which includes theories on how the notebook’s contents could relate to time travel and how Redbeard’s death helped create the high-functioning sociopath. 3. Did the Bride represent Moriarty? It would seem so, given that there were obvious parallels between the two—both shot themselves in the head and then appear to rise from the dead to commit a series of crimes. Sherlock digs up Emilia Ricoletti’s grave to see if the corpse substituted by the suffragists is buried there. 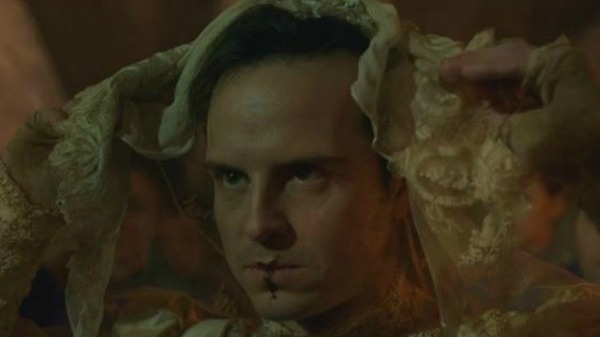 Moriarty then appears in the bride’s dress, cementing the connection between the two. Does this mean that Moriarty really is dead, but before his death, set up a scheme to have other criminals commit crimes on his behalf (or disguised as him), as did the Bride and the suffragists? We’ll have to wait for Series Four to (hopefully) know for sure. 2. Is Moriarty really, really dead? 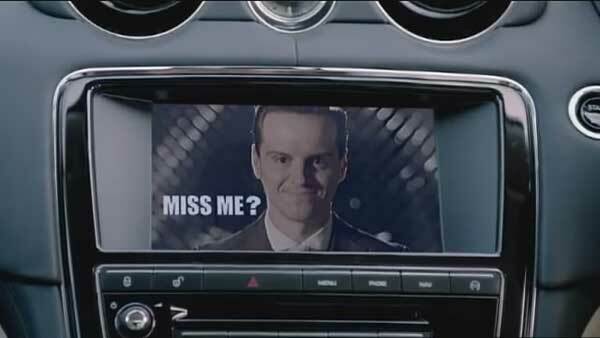 Sherlock’s comment that Moriarty is really dead seems to answer this question definitively. However, this wouldn’t be the first time that a story point seems certain, only to be reversed later. However it turns out, we loved seeing Andrew and Benedict back on screen together again! 1. 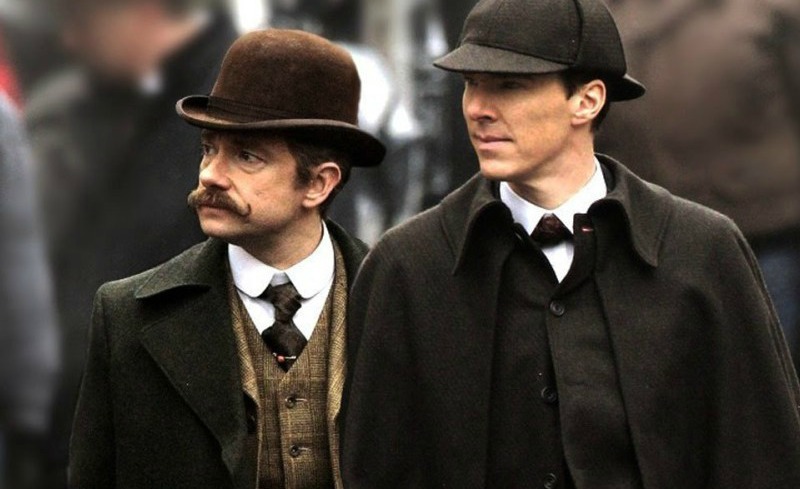 Is Victorian Sherlock a mind palace invention of the modern-day Sherlock or vice-versa? There were numerous shifts between the modern day and the Victorian era in “The Abominable Bride.” It seems that the Victorian Sherlock in “The Abominable Bride” is a construct in modern-day Sherlock’s mind palace, and that Sherlock used the Victorian setting as a tool to work out how Moriarty killed himself but came back. There are clues early on in the episode that the Victorian sections are not real, such as when Victorian Mycroft references a “virus in the data,” an anachronistic term for the period. Another example is the Reichenbach Falls sequence, which “rights” Conan Doyle canon from a fan wish-fulfillment perspective: when Moriarty and Sherlock face off at the Falls, John is there to save Sherlock, rather than being called away by a ruse. Also, the scene where Sherlock falls/flies through the falls, mimicking how he jumped off the roof of St. Bart’s, is clearly fantasy. Yet the final scene presents it the other way around, with Victorian Sherlock telling Watson of how he would feel at home in a future world with jet planes and hardrives. So which is the real one? What were your questions after watching “The Abominable Bride”? Tell us in the comments! I had the same last three your questions (Moriarity as the bride, the enigma about his death and the one about who is the real SH). My biggest question is why Watson was missing his moustache in one scene of the Victorian era while on the carriage ride with Sherlock. Is there a hidden meaning there? I believe it was the present imposing on the Mind Palace since he is also wearing the wrong costume. I have this feeling that this episode is 98% in Sherlock’s drugged mind. He wasn’t just missing the moustache, he was also dressed as 21st century John Watson. Sherlock’s mind was registering events in the present intruding on the Victorian fantasy. No, notes for a future episode of Doctor Who, yes, yes, yes. My question – Will Mary be working for Mycroft in future episodes? I think 5 is somewhat the wrong question to ask. I think the relationship has always been played out as prideful competitive jealousy on the surface with brotherly caring and respect underneath. If you accept the notion that for both of them emotions are repressed to not interfere with the intellect and that emotional repression is the burying of emotion, not being devoid of them, then this would make sense. For them to become BFF’s would contradict their personalities. Regarding 1. If Victorian Sherlock is part of modern Sherlock’s mind palace (in other words, in his imagination) then it would surely allow for imaginary Sherlock to muse about the future accurately. That would be consistent with imaginary Mycroft making the ‘virus in the data comment’. Any character in modern Sherlock’s mind palace would have all his knowledge. For modern Sherlock to be a creation of Victorian Sherlock’s mind palace he would have miraculously predicted the modern world, which would be impossible. Even for Sherlock. What is the deal with IOU/you? There are so many parallels between the abominable bride and the Moriarty case, and both have a strange saying that’s similar (IOU and You). Both are written in red. Not to mention, “You” is in the opening credits scene. Neither are explained, but it feels important. What do they mean? “Yet the final scene presents it the other way around, with Victorian Sherlock telling Watson of how he would feel at home in a future world with jet planes and hardrives. So which is the real one?” was present day Sherlock dreaming this up?? Were there secret organizations seeking retribution as in this episode?